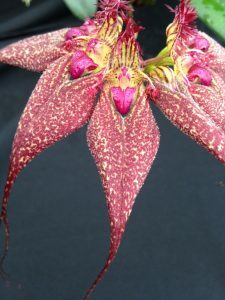 The winner of orchid of the week for last week was the dramatic Bulbophyllum rothschildianum. Thanks to all who voted. The next orchid of the week vote will be on Saturday.